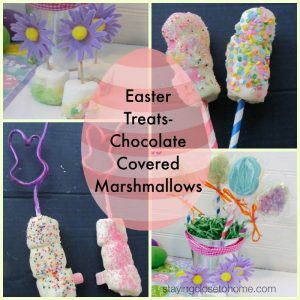 Easter baskets at my house were always filled with white chocolate treats from Fannie May. 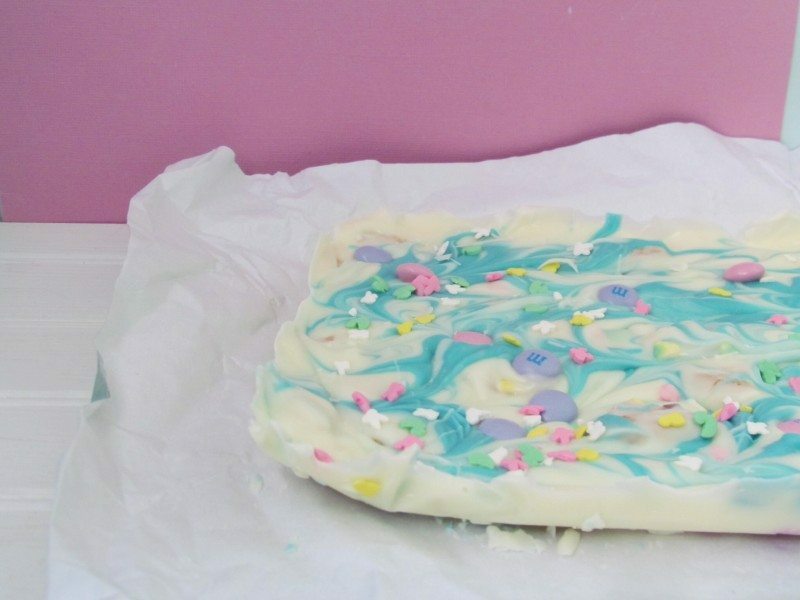 I don’t normally love white chocolate but feel like it is best suited for during the Easter Season. 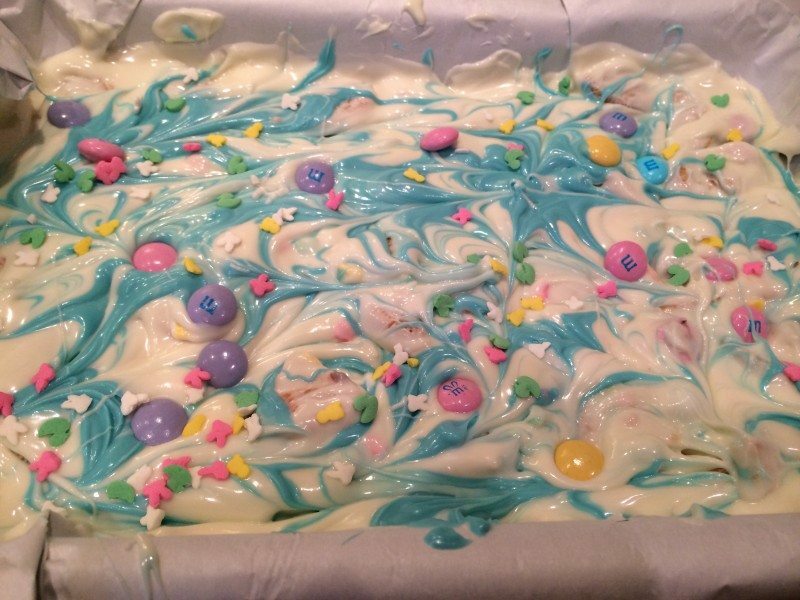 I decided to change-up the my Oreo Bark Recipe from Halloween and make this Easter Oreo Bark recipe. 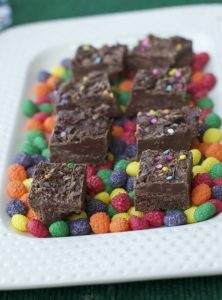 The recipe could not be simpler and you can make a small or large batch depending on the pan you are using. 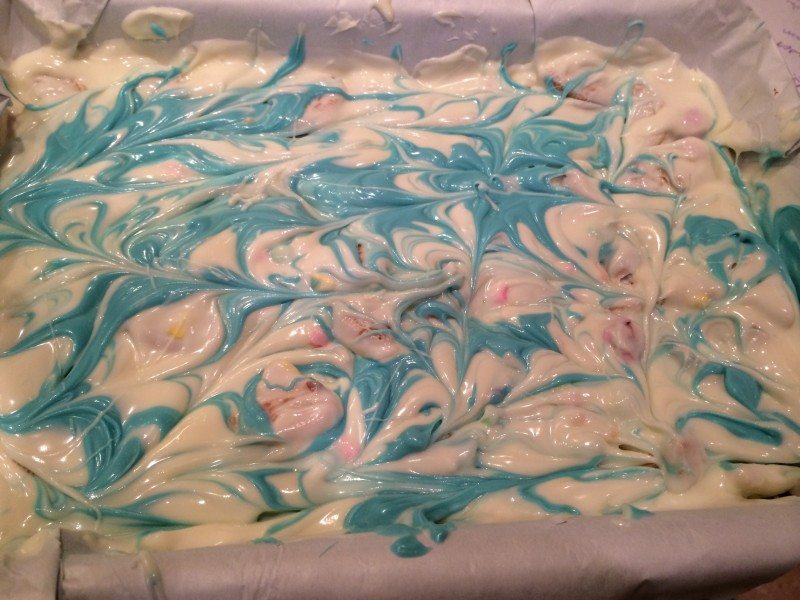 Melt white chocolate bark or White Chocolate discs per the package directions. 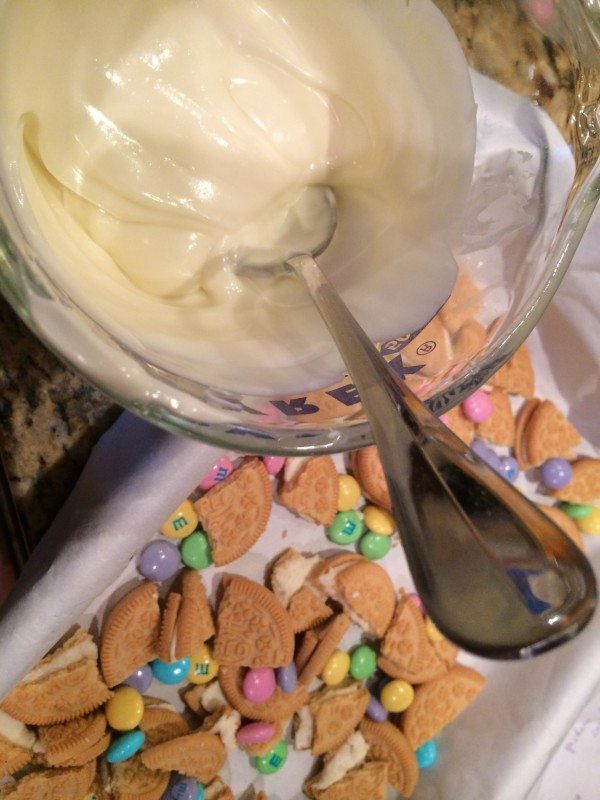 Pour over the Oreo Mixture. 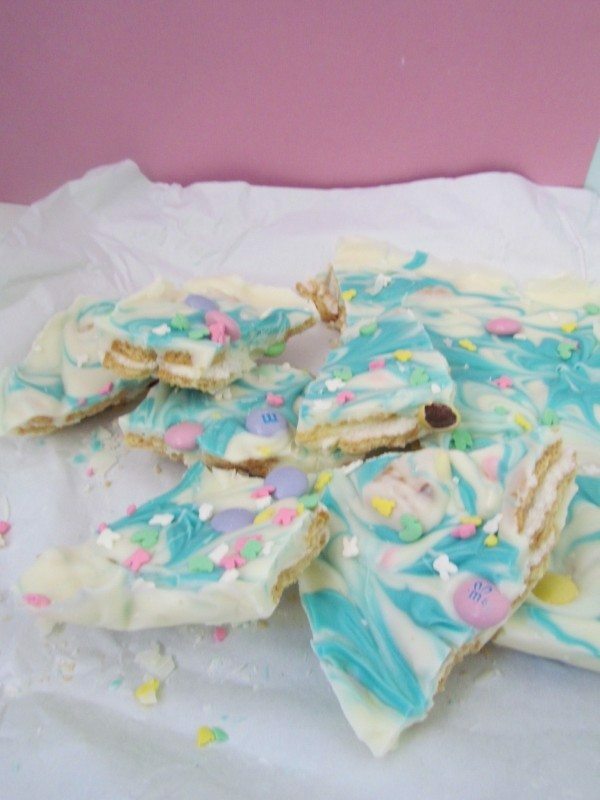 Meanwhile I melted a few light blue chocolate discs to make this a more festive Easter Oreo Bark Recipe. 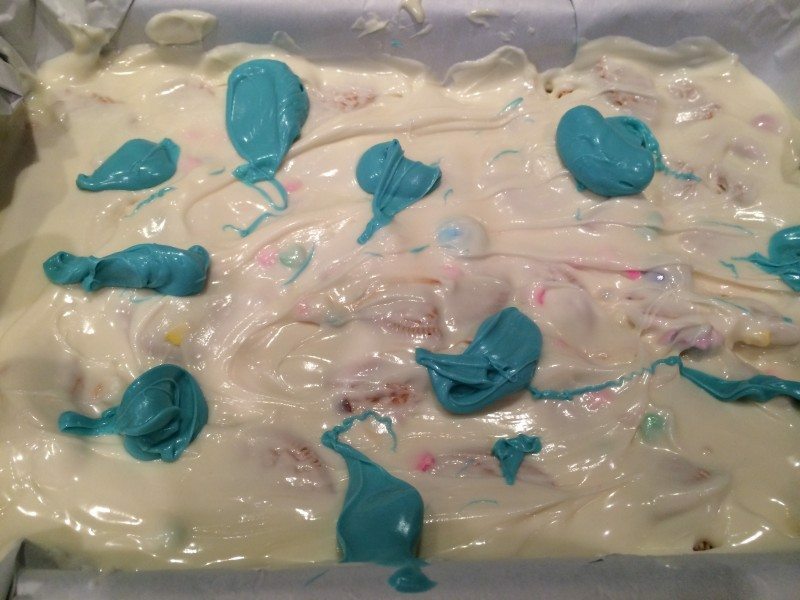 Drop a few dollops of the blue chocolate, on top of the white chocolate bark and used a skewer to mix it through the white chocolate. 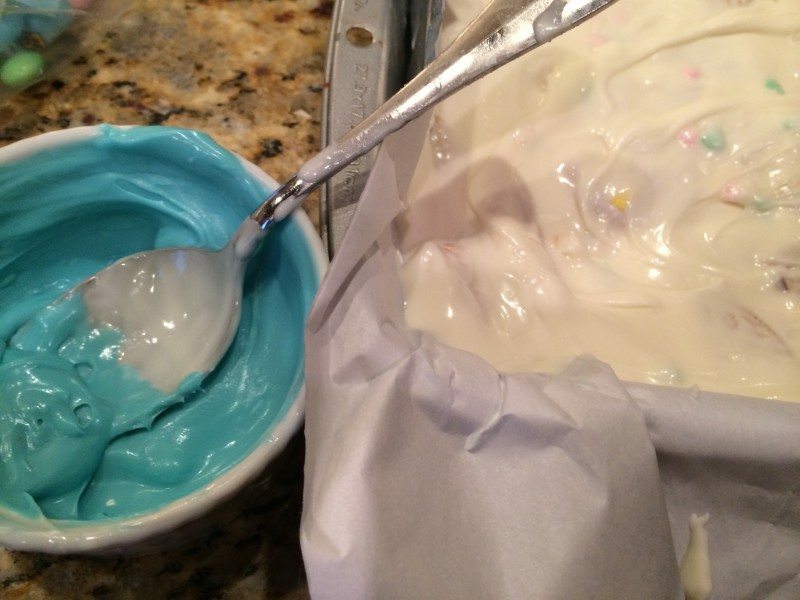 Don’t over mix or you will have more blue than white. 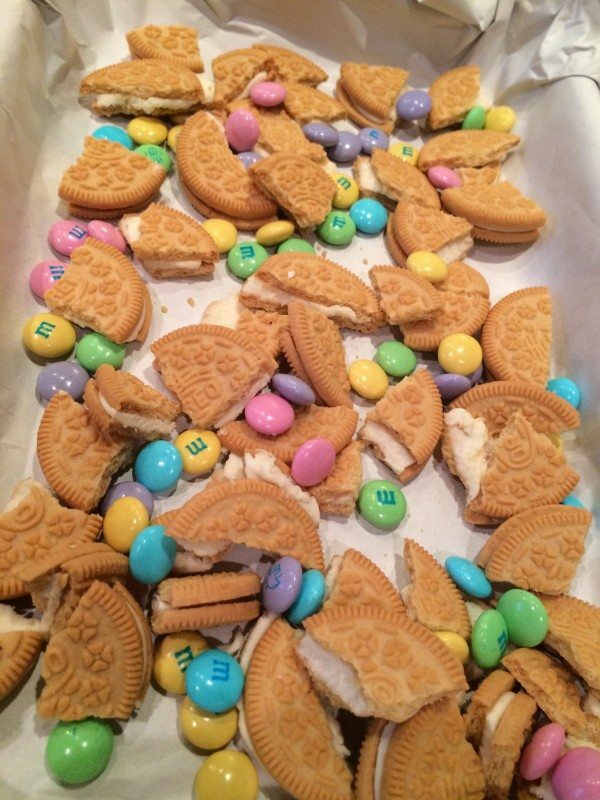 It is optional to add some festive Easter sprinkles and additional M&M’s on top. Place in the fridge to harden. 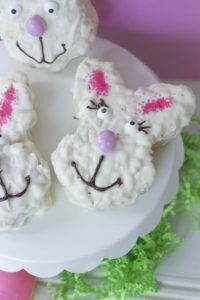 See how easy it comes out when you line your pan with the paper liner! Place it in a cellophane bag and place it in a cute container, found in dollar spot at Target. 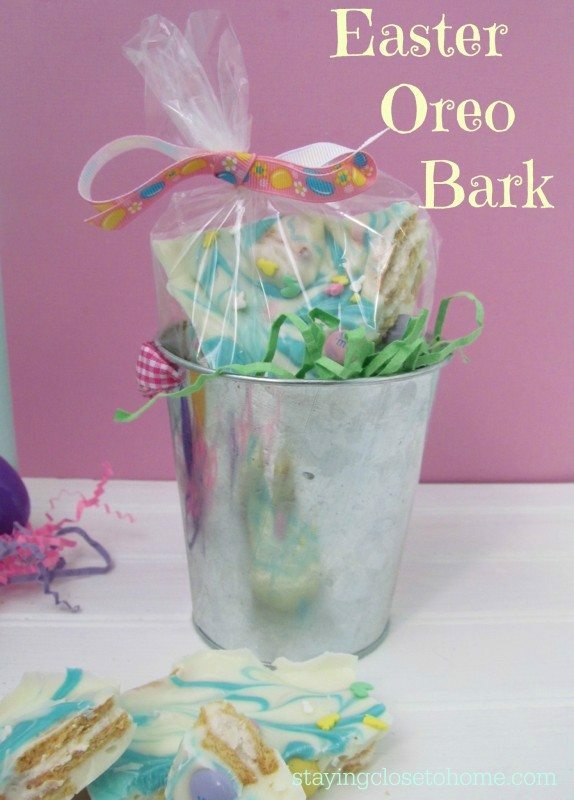 This makes a great party favor or teachers gift. 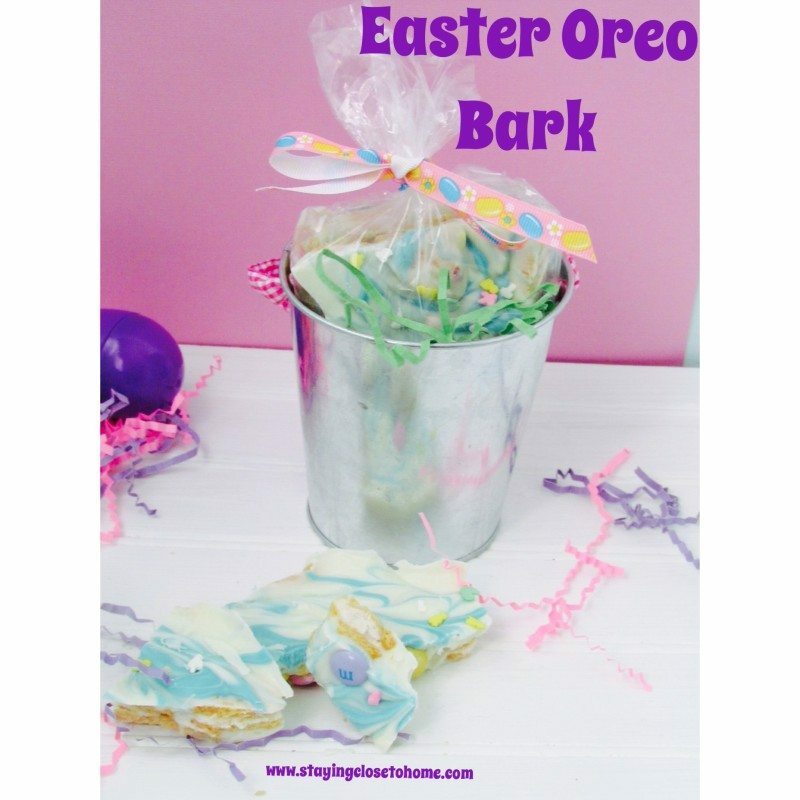 What is your favorite Oreo Bark Recipe combo? Do you like dark or white chocolate? I love how you added blue to the bark, it sets it off perfectly.